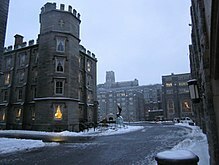 The Continental Army first occupied West Point, New York, on 27 January 1778, and it is the oldest continuously operating Army post in the United States. 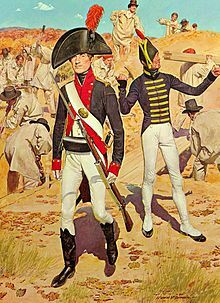 Between 1778 and 1780, the Polish engineer and military hero Tadeusz Kościuszko oversaw the construction of the garrison defenses. 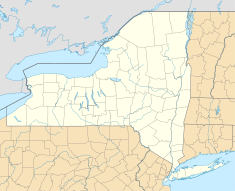 The Great Hudson River Chain and high ground above the narrow "S" curve in the river enabled the Continental Army to prevent British Royal Navy ships from sailing upriver and thus dividing the Colonies. 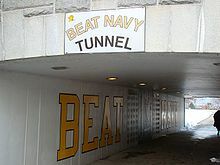 While the fortifications at West Point were known as Fort Arnold during the war, as commander, Benedict Arnold committed his act of treason, attempting to sell the fort to the British. 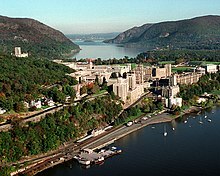 After Arnold betrayed the patriot cause, the Army changed the name of the fortifications at West Point, New York, to Fort Clinton. 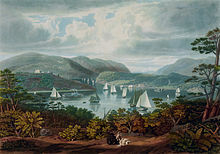 With the peace after the American Revolutionary War, various ordnance and military stores were left deposited at West Point. 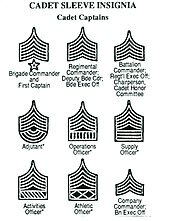 ^ United States Military Academy Style Guide (PDF). 2 October 2014. Retrieved 5 April 2017. ^ a b Esch, Mary (14 August 2017). 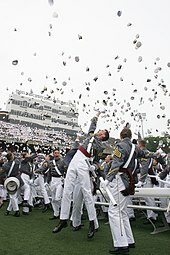 "Fairfax County's Simone Askew Is First Black Woman to Lead West Point Cadets". NBC4 Washington. Associated Press. 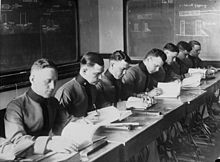 ^ "Gay pride groups appear at U.S. military academies - CNN.com". CNN. Retrieved 27 September 2015. ^ Cullen, Dave. "So What's It Like to Be a Gay Cadet at West Point These Days?". Retrieved 27 September 2015. ^ Stolberg, Sheryl. "Loophole in Rules on Transgender Troops Denies 2 Their Commissions". Retrieved 20 October 2017. ^ Hamel, Keith (15 September 2016). 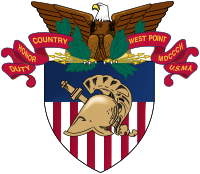 "West Point's First Impression" (PDF). Pointer View. 73, No. 36. p. 5. Retrieved 20 January 2017. ^ "5-cent West Point". Smithsonian National Postal Museum. Retrieved 13 June 2014.